Yesterday, I posted a video from Arturia about the new update to Spark. Version 1.5, available now, offers some great new features, including new kits, new ways to control via MIDI, and new implementation of drum sounds, like setting different velocities to different sounds, as opposed to just volume. 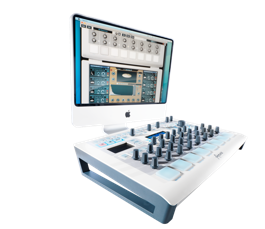 Thanks to Version 1.5, there has never been a better time than now to ignite your rhythmic creativity with SPARK Creative Drum Machine... beat the future! Hear the new Version 1.5 kits for SPARK Creative Drum Machine in action here: http://soundcloud.com/arturia-official/spark-1-5-new-kits-mini-mix"